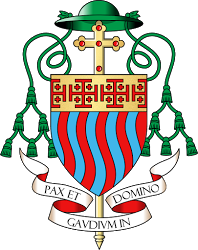 Throughout the year the parish supports a number of charities through its Parish Tithe, donating 10% of its collection and related income to charities and other worthy causes. The emphasis is on local organisations related to the Church or to parishioners. They vary from poverty relief to sick children and asylum seekers. Worth Abbey Parish supports the food banks run by the Trussell Trust. 1 in 5 people in the UK live below the official poverty line meaning that for them life is a dally struggle. For many people a sudden crisis of redundancy, benefit delay or even an unexpected bill can mean going hungry. The parish collects donations of non-perishable food for the Crawley SVP and the Haywards Heath foodbank. Donations can be left in the container in the porch of the Parish Office or in the baskets which are put out before the Vigil and 9.30 am Masses at the Abbey and the 11.30 am Mass at St Dunstan’s. Outreach Peru is the development fund of Worth Abbey for Peru. It supports a range of health and social welfare projects in Lima and other parts of Peru. Click on the logo for details of the projects and ways in which you can support them. 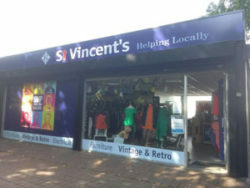 St Vincent’s Community Shop, Broadfield, Crawley provides low cost goods and household items to disadvantaged individuals and families, offering a listening ear and, where appropriate, arranging visits to those most in need. The shop now has a van available 2 days a week to collect donated items of furniture. Initially this is on a trial basis for 2 months. Anyone wishing to donate furniture should contact the Shop Manager, Maurizio, on 01293 517135. If you would like to work as a volunteer in the shop, please enquire at 2, Pelham Place, Broadfield or phone 07500 484058 for an application form. Housing Justice is the national voice of Christian action on housing and homelessness. Housing Justice exists because its supporters believe that human dignity is challenged by a lack of decent housing. Jubilee Debt Campaign is part of a global movement demanding freedom from the slavery of unjust debt and a new financial system which puts people first. The Campaign is currently making a case for a Household Debt Jubilee.